My goal is to offer high quality mineral specimens and moldavites. Best specimens and rare minerals from historical hard to get locations. I put emphasis on specimens quality. If you are interested in unique specimen - contact with me or look on my eBay store ! 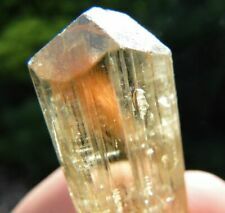 Always on sale some minerals from $0.01 - without minimum price!